The bit of sun we got yesterday and early today made me realize that, even apart from the Arctic temperatures and the constant snow, this has really been an unusually dark winter, with very few clear cold sunny days. I was noticing the patterns of light on buildings like the brick facade here and it was as though I hadn't seen them in years. 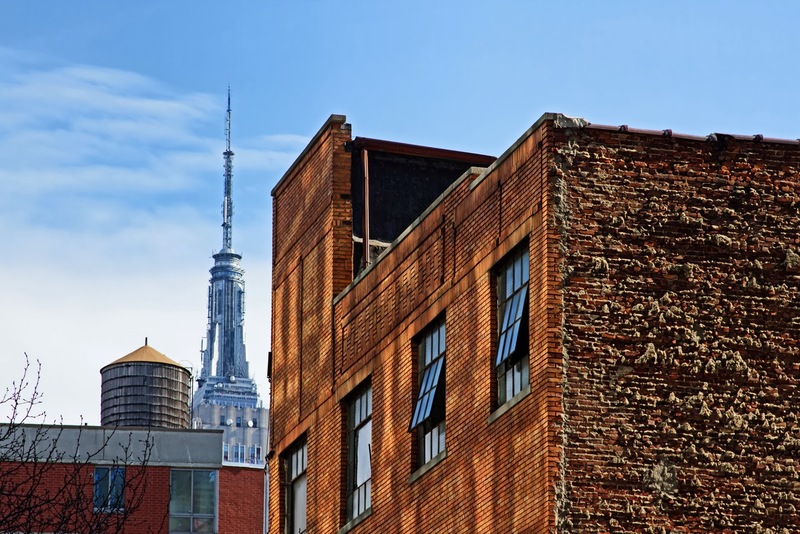 This is another nice New York juxtaposition: old industrial brick, a water tower, and the spire of the Empire State Building. But it's the light I love -- I want to slurp it up like a milkshake while it lasts.